Serious Games Market Blog support to Blog Action Day has now become a tradition. In 2008, on the theme of Poverty, the event similarly focused the blogging community's energies around discussing the wide breadth of the issue from many perspectives and identifying innovative and unexpected solutions. In 2009, on the theme of Climate Change, we focused on Climate Change Serious Games, and also on a niche topic: Climate Change & Video Games - Why Gamers Would Be Rather Good at Fighting Climate Change and Saving the World. The topic for Blog Action Day 2010 was Water - One day. One issue. Thousands of voices. We then focused on Blog Action Day: Serious Games For Water Conservation. Yesterday the Blog Action Day 2011 site was unveiled, announcing that since Blog Action Day 2011 coincides with World Food Day, BAD's topic this year will be FOOD. Food is something that we all share in common, but is distinct to each of our cultures. The way we produce, distribute and consume food is crucial to our shared future and the unhealthy imbalance of food scarcity in developing world and food over-abundance in the developed world is unsustainable for us all. 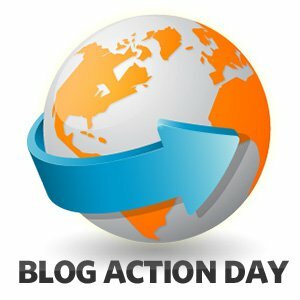 Blog Action Day 2011 will be an opportunity to open the conversation about how food impacts all of us – individually and globally. After overseeing Blog Action Day for the past two years, Change.org announced yesterday that they are handing the reins over to VOICE, an organization incubated at Oxfam and supported by ONE.org, Save the Children, WaterAid, the UN Foundation and others. 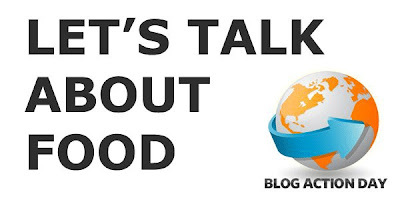 VOICE connects bloggers with non-profits, charities and established media and helps them to blog at global events like the G20 Summits and UN Climate Change Conference. They couldn't be better suited to run Blog Action Day going forward.